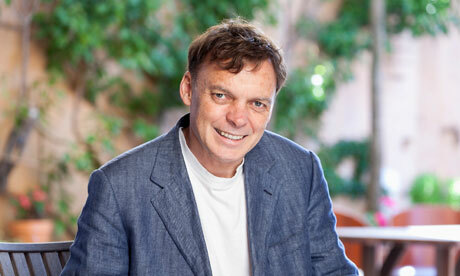 The Rosie Project by Australian Graeme Simsion tells the story of a genetics professor with undiagnosed Asperger’s. A first novel about a man with undiagnosed Asperger’s syndrome has become a publishing phenomenon, snapped up by publishers in more than 34 countries, from China to Portugal. As a comic story of disability, it is an unlikely hit. But publishers believe that with its strong main character, the book will challenge perceptions of people with the disorder. The Rosie Project tells the story of a socially challenged genetics professor, Don Tillman, who decides to look for a wife, drawing up a “scientifically valid” questionnaire to assist his quest for the perfect woman. Tillman lectures on Asperger’s without realising that he displays its symptoms himself – in his use of language, difficulty in reading social signals and obsession with detail. The novel is being described as a cross between Mark Haddon’s The Curious Incident of the Dog in the Night-Time, about a teenager with Asperger’s, and David Nicholls’s One Day, a bittersweet love story – both huge bestsellers.